And here are the photos and stories of everyone who participated in the order that they came in to me. Enjoy! I (Alissa) ran the 5k on the treadmill because it was too cold to run outside. My goal was to run the entire thing and I accomplished that in 44:36. This is a picture of me post race (hence the really red face). 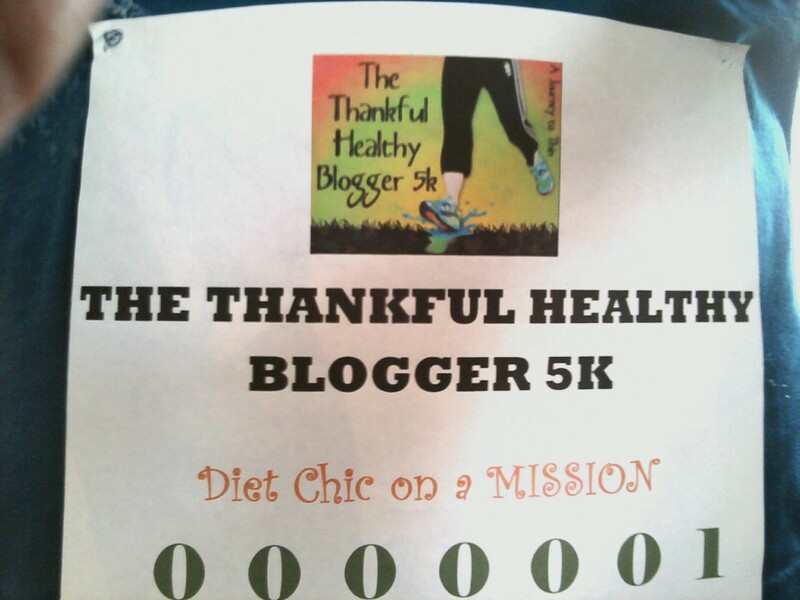 I am holding one finger up to show that this is the first Thankful Healthy Blogger 5k of hopefully many more to come! This is going to be a new tradition for hubby and me as a family and anyone else who cares to join in! Hubby ran the 5k on the treadmill after me. He ran it in 29:30- absolutely amazing! I’m so proud of you!! 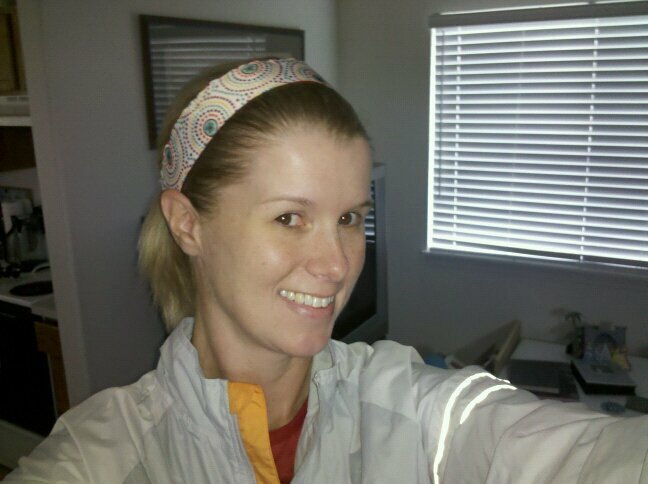 Lori (For the Run of It) ran the 5k on her treadmill and finished in 31:13, her personal PR! Great job! “I have only been running for 7 weeks. I started couch to 5K a couple weeks after I started WW. I didn’t realize then how much I would really enjoy running, now I get antsy when I can’t get a run in. Today has been a really good day. When I got up I started cooking then I decided to do my 5K. Now I hadn’t actually run more than 2.5 miles before today so I was sort of nervous. My only goals were to finish and to run the entire thing. So that is exactly what I did.” She finished in 42:47! AWESOME JOB! “I ran my 5k this morning, and ran it in 29:25! It rained, rained, rained the entire time, but luckily the temp stayed in the 50s and there wasn't much wind. 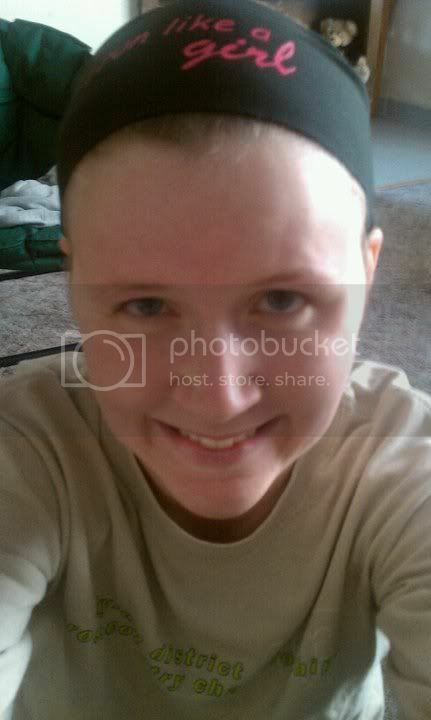 My picture is attached... my bondi band (LOVE them!) says "Will Run for Chocolate".. to which I add... "and all other holiday foods!". :) As I was taking the picture, my hand was still jittery from all the coffee I had consumed through the morning. 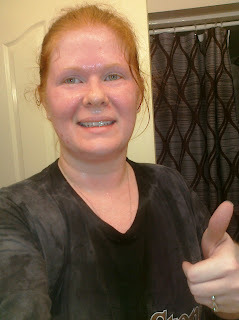 I meant to get a picture when I returned from my run, but I was so soaked that the hubs directed me straight back to the bedroom to get into the shower and get wet clothes into the washer. Haha... he's a neat freak like that.” She ran a total of 6.2 miles. Jenna Renee ran the 5k outside where it was just barely 30* and finished in 34:01. She actually went on to run a total of 4 miles. Great job! Jury- Diet Chic ran her 5k outside- this was her first 5k and she finished in 46:10! GREAT JOB! I am LOVING the bib that she made for this 5k! So cute and creative! Kim ran outside after a full day of volunteering at another race earlier in the day! Her goal was to run 10 minute miles and she finished in 30:22. Way to go, Kim! Angie ran the 5k on a treadmill at a resort hotel where her family was staying for Thanksgiving. She ran the 5k in 32:15. Great job! Janna completed the 5k in 1:06. She even brought her nieces and dog along to be active with her! Great job, Janna! Lori ran her 5k on the treadmill and finished in 32:48. She ended up running 5 miles total. Kellie ran her 5k outside in Texas where it was 72*-must be nice!! She finished in 32 minutes! Way to go! Brenda ran/walked her 5k. Here’s what she had to say about it, “I was worried I would get rained on yesterday but ended up finishing up my run/walk before the rain. My time was 41 minutes, so I was happy. This was a great idea, the virtual 5k. If I hadn’t signed up for this I could have very well seen myself putting off going outside until it was too late or some other excuse. As it was I pulled my son off the PS3 and made him come with me.” Great job on getting out there and getting active and taking your son along, too! Mrs. D completed her 5k in 42:00 on the elliptical because of a her injured knee, now that’s dedication! Way to go! Andie ran her 5k on the treadmill in 42:09! Way to go, Andie! Stephanie Anne ran 4.77 miles in 48 minutes and this was her fastest min/mile pace ever! Way to go! Shelley ran her 5k in 35:37- her new PR! Awesome job! Katie ran her 5k in 21:52- a new PR for her too! Fabulous job! Great job on pushing through! Kim participated in the Up and At Em' 5K in Johnson City, TN and finished in 27:07. Way to go, Kim! Thank you to all of you who participated- AND NOW FOR THE GIVEAWAY! The winner was chosen via random.org. 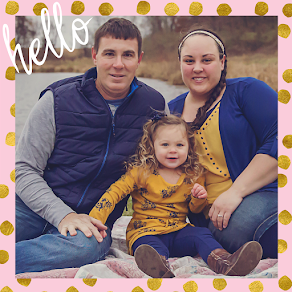 Congratulations, Lori!! Email me your address and I will get your giveaway package mailed out to you! 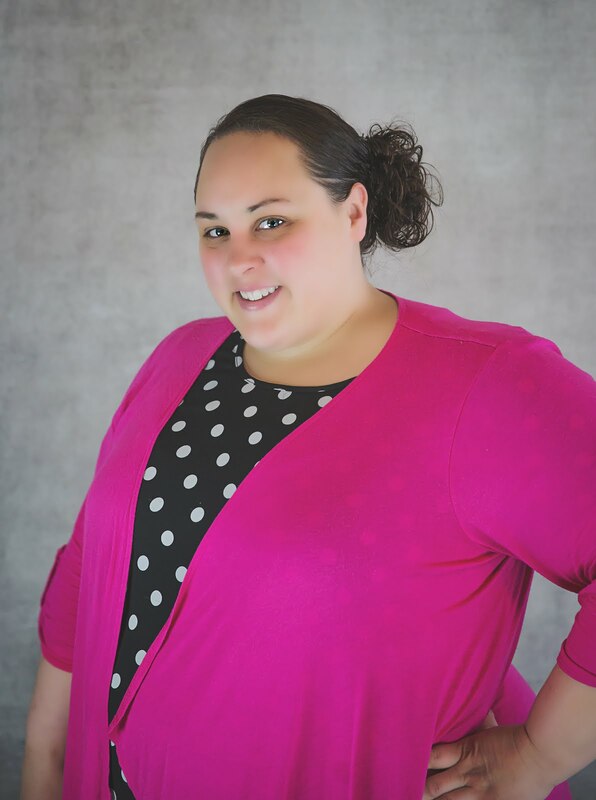 Lori has an incredible and motivating story and has accomplished so much- make sure to check out her blog- she is a HUGE inspiration and role model to me! Congratulations to all the participants!! I am not a runner yet because of my knees. Next year I will be in too :) Congrats to Lori too :) Going off to check her blog! And cool graphics with the links in the table. Congratulations to all! Let me know if someone hosts another virtual 5k in, oh maybe february or march and I'll "be" there! I love Jury - Diet Chic's bib too! Fun! Congrats to everyone!!! I hope to join you guys next year...I WALKED a 5k on Thanksgiving this year! That's awesome that you got so many participants! What a fun virtual race - and great job everyone! What an awesome way to get everyone involved in an active Thanksgiving day!!! I wish I was able to take part too :( Next year and you should do this next year again for sure I think it's an awesome idea. I love the pictures of everyone that participated too....fun!!! Congrats to Lori! What a great race recap post. Thanks for "race directing" this one!